Aimee’s marathon for April Lodge! My name is Aimee Lovejoy and on 26th April I will be running the 2015 Virgin Money London Marathon in aid of April Lodge! I will be raising money for April Lodge Guinea Pig Rescue and for Guide Dogs for the Blind. I’ve chosen April Lodge because over the past three years I have become a slave to three guinea pigs and they have completely stolen my heart! Turk & JD (named after the main characters in Scrubs) were my first piggies and, boy, did I learn fast – mainly that they liked their breakfast early! Turk & JD were a huge part of our lives for three years, they had free reign of the flat (indoor pampered pigs), I bought them beds, they had a Cosy Cave, various treats and all the hay and veg they could eat. 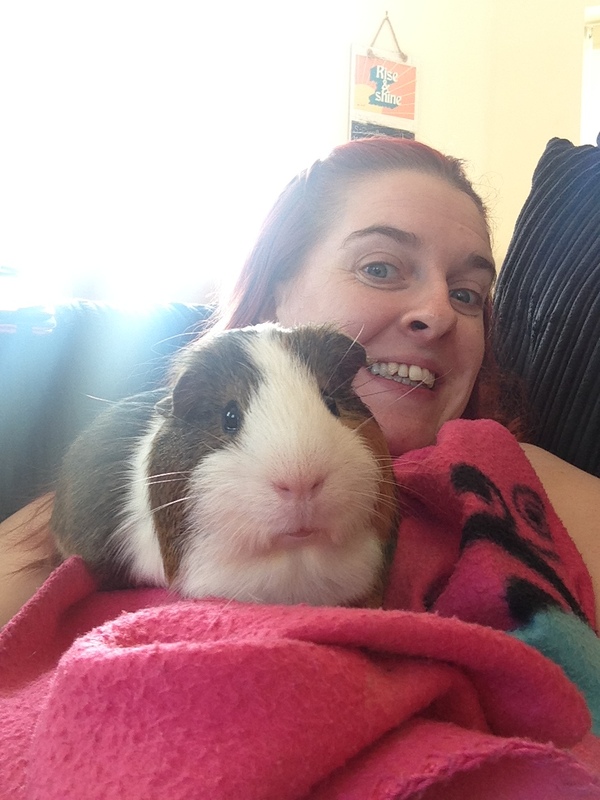 After a year JD was poorly with a bladder stone and although the vet must have offered us euthanasia three times that evening, we made the decision to have him operated on. 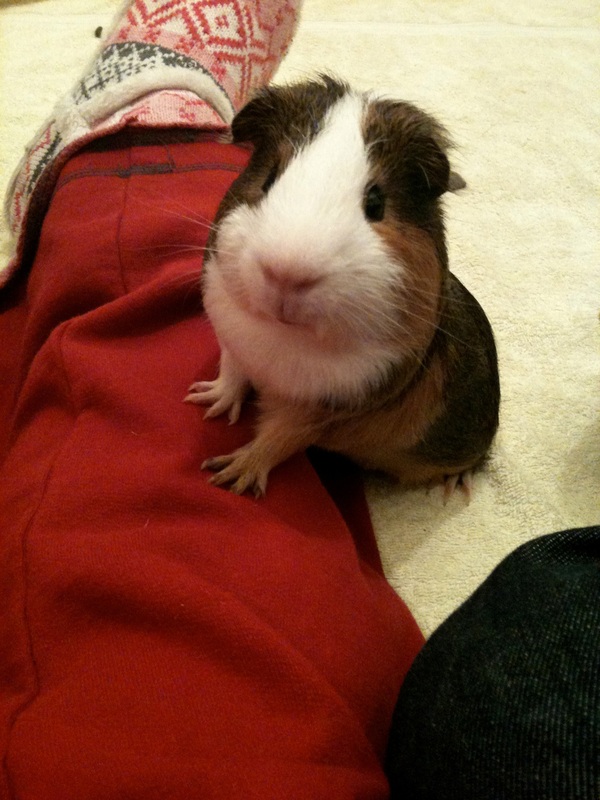 It was a success and we got our guinea back to full health less than a month later. Sadly last year we discovered a tumor in Turk’s ear and whisked him straight down to the vets to have it removed. The surgery was a complete success and the vet said she was really happy with how easily the tumor had come out. But after a few days we know our piggy wasn’t right and it was then that we discovered that Turk had suffered some brain damage due to the anesthetic. But again we soldiered on thinking that with extra love and care we were confident we could take care of him. It was not to be, and Turk had to be put to sleep two weeks after his op. 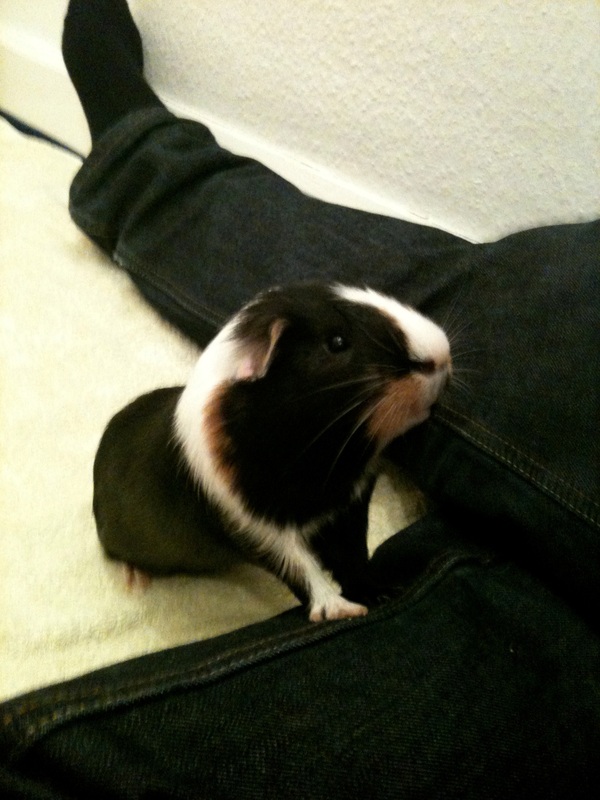 This was the hardest decision I have ever had to make and I miss his fluffy bottom even now and the way he used to sing to us with that lovely warble that only a guinea pig can make! 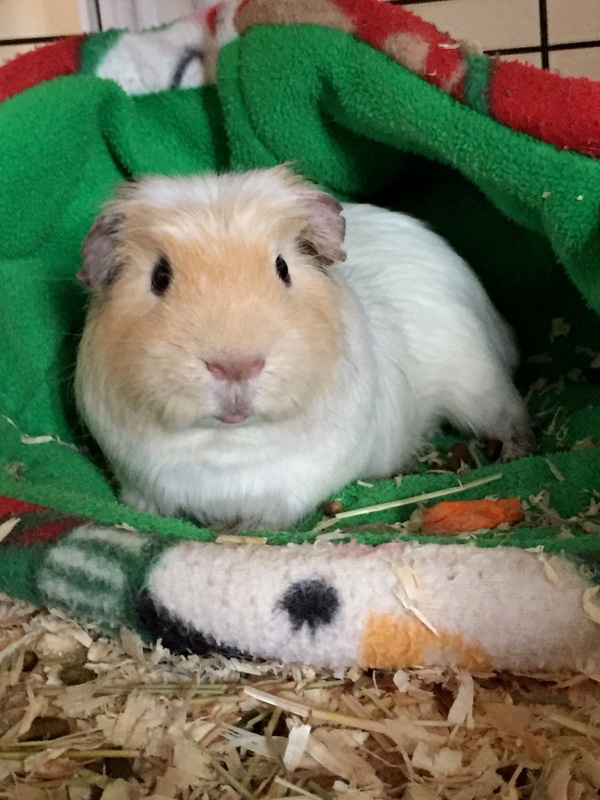 So, we were left with JD; he seemed unhappy so we went to our local rescue Squeaky Guinea Pigs in Wickford and came home with Shaun, a rescue pig who had had a bit of a rough time with his brother. 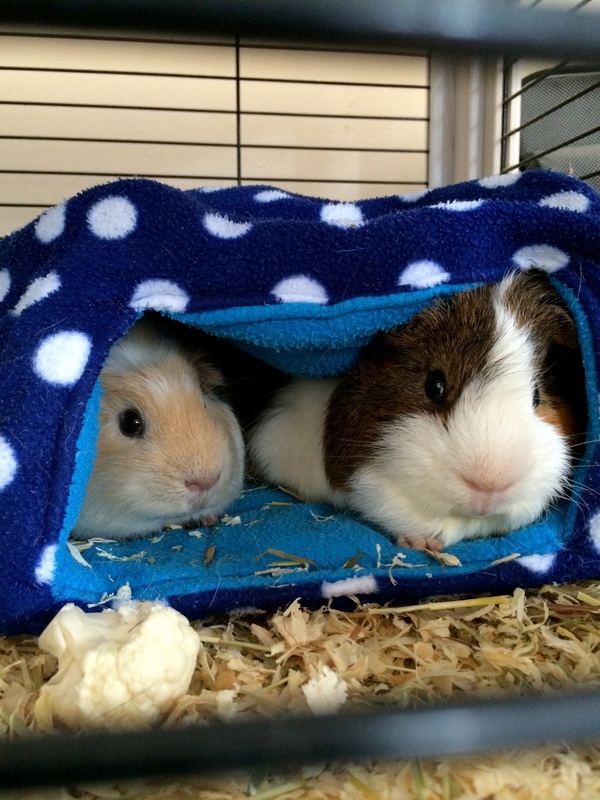 Shaun and JD bonded and got on well, although we’re not too sure how happy JD was about sharing his cosy cave! However, luck was not on our side: we discovered that JD (Or Dizz as I often called him) had developed another bladder stone. So we were off to the vet again to get it removed. Again, the procedure was successful and, an empty bank account later, we all settled down to become a new family. Six weeks later and Dizz had another stone. I was devastated; the vet advised it wouldn’t be fair to operate a third time. Sadly, Dizz was put to sleep the week before Christmas and we were heartbroken. Since then we have talked about another rescue but Shaun (or Beany Boy as he is often referred to) seems to be fine on his own so we have decided to leave him that way, therefore being the luckiest piglet in Essex with a huge cage and more beds and cosy things than he knows what to do with. He is a very spoilt pig – and shall continue to be! As you can see, I am passionate about piggies and it would mean the world to me to raise some money for April Lodge. Knowing that I can do something to help the rescue will be what gets me through that 26.2 miles on April 26th. My VirginMoney sponsorship page will be up and running soon. I hope you will take a moment to sponsor me; every little will help and I want to turn a little into a lot!